Poet and art critic Bill Berkson achieved personal entropy in San Francisco on Thursday, June 16th, 2016 at the young age of 76. June 16th also happens to be Bloomsday celebrated around the world by aficionados of James Joyce’s Ulysses. Writers’ lives are bracketed by the simulacrum of literature, an exoskeleton of sorts, no matter what their personal life or relationships are like, and Berkson’s was (in more ways than one) a perfect example. If you’re going to make an exit, this date is certainly loaded with literary resonance. 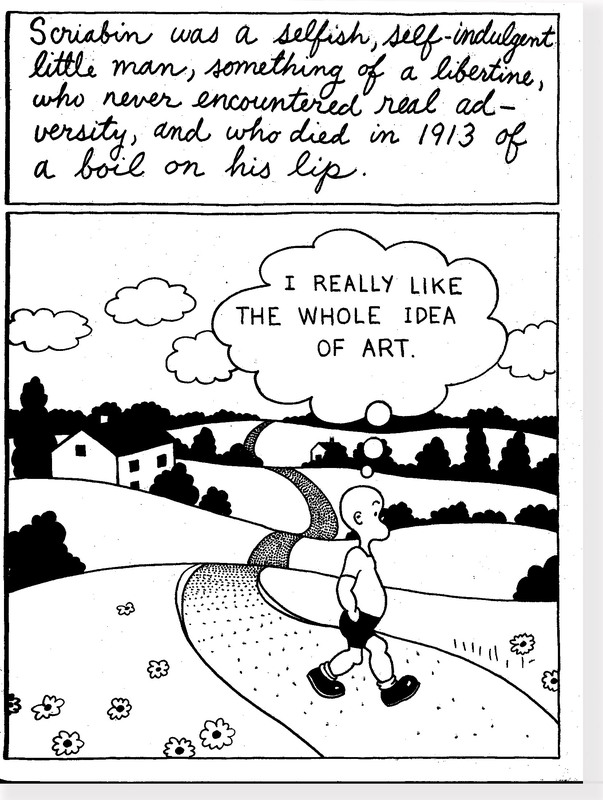 Berkson’s apparent Zelig-like ubiquity in the New York art scene is misleading. As a native son, stylish Manhattanite , epithetic New Yorker with a solid Fifth Avenue café society pedigree not to mention classic photogenic good looks, it was the less comely among the artists and writers who flocked to crowd into the photographs. Berkson’s appeal, aside from his eye/arm candy attributes, was his sophisticated earnestness and a sense of aristocratic noblesse oblige. As the son of Seymour Berkson, the publisher of The New York Journal-American, and Eleanor Lambert, a celebrated fashion publicist known as the “Fashion Queen of New York,” he benefited from a privileged upbringing in intellect and sophisticated tastes. Educated at the prestigious Trinity School whose alumni include Aram Saroyan, Jim Carroll, Oliver Stone, and Humphrey Bogart, he also attended the equally elite Lawrenceville School in New Jersey where he began his studies in poetry in earnest, encouraged to study Dickinson, Eliot, Pound and Gertrude Stein and winning prizes with his essay on Eliot and original poetry. 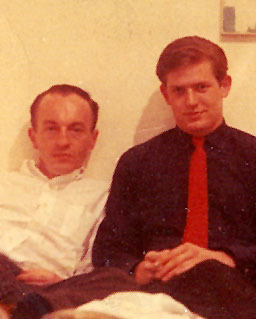 Matriculating to Brown University in 1957, he soon became aware of contemporary poetry represented by the Beats and the New York poets including Frank O’Hara and John Ashbery and eventually moved on to study poetry at The New School under the direction of poet Kenneth Koch who introduced him to the rudiments of modern poetry. In his biographical note in An Anthology of New York Poets (Random House, 1970) he lists the development of his influences under Koch’s tutelage: “through his teaching, by Williams, Reverdy, Auden, Stevens, Michaux—then of course, O’Hara and Ashbery, and Koch’s own work, or more exactly, his way of seeing funny details. Translation of Cendrars and Aretino.” Berkson’s enrollment at The New School coincided with the renewed interest by certain of the literate intelligentsia in non-Anglo literature, particularly the early 20th century French writers, but also the Russians and Spanish—actually anything, even ethnopoetics, to get out from under the stultifying atmosphere of Anglo hegemony. It was also a time when the art scene was driven by a post-war prosperity and worldliness: Abstract Expressionism achieved its legendary status, galleries became the social centers for the cultured elite, and enthusiasm for modern dance was intense and passionate. 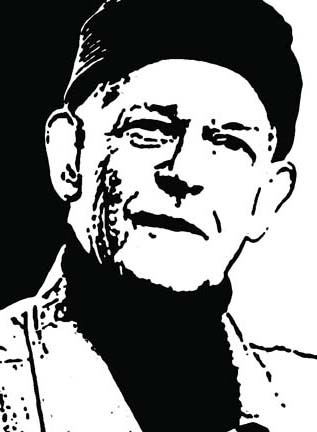 In 1968 Berkson, by then also an instructor at The New School, published Best & Company, a collection of poetry and art representative of unaffiliated younger poets and artists in his milieu as well poetry by the implied figureheads of the previous generation that included Frank O’Hara, John Ashbery, William Burroughs, and James Schuyler. Best & Company also featured the work of Ted Berrigan, Ron Padgett, Anne Waldman and many of the poets who would be featured two years later in the New York poets’ anthology. In Best & Company, Berkson’s eye and ear for the modern categorized an esthetic that was uniquely quotidian and anti-establishment. By rejecting the conventions of the conservative Anglo-American academy, Berkson defined a “School of New York Poets” with his inclusive gesture, one that would unfortunately soon be reviled as the work of self-indulgent poseurs and self-aggrandizers by those whose entrenched literary establishment applecart they had upset. The poets in this collection are flip, audacious, impudent with a hip self-possessed edginess derived in part from their association with the New York art scene, both pop and avant-garde, and whose horizons went beyond the dominant glot and outdated strictures of Anglo literocracy. In 1970 Berkson moved to the then little known community of Bolinas on the California coast just north of San Francisco. There he established Big Sky, an art and poetry magazine, the name, according to Kevin Opstedal’s monograph on the Bolinas scene (Big Bridge Vol.3 #4), suggested by lyrics in a Kinks song: “Big sky looks down on all the people.” By maintaining his hand in the art and literature mix Bill played an important role in keeping the New York school esthetic alive, an avant-garde modernism tied to a contemporary global art culture. Opstedal also reports that “Berkson’s original editorial stance was to accept ‘whatever arrived from those invited to contribute.’ After the first two issues he found this method too ‘chaotic’ and devoted the third issue entirely to work by Clark Coolidge. Thereafter he became a more selective editor.” Berkson edited and published 12 issues of Big Sky from 1971 to 1978 featuring a cast of local poets such as Joanne Kyger Philip Whalen, David Meltzer, and Bobbie Louise Hawkins as well as many of his former associates from the New York scene including Alice Notley, Ted Berrigan, Andrei Codrescu, Lewis Warsh, Steve Carey, Tom Clark, Anne Waldman, Maureen Owen, Bernadette Mayer, Anselm Hollo, and Allen Ginsberg. 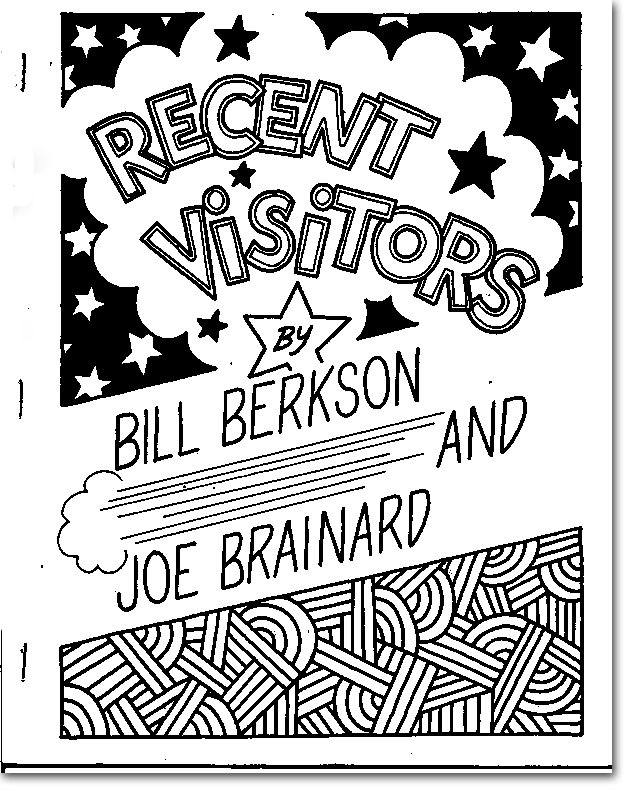 In addition to the magazine, Berkson also published a series of Big Sky Books featuring the work of individual authors, among them Joe Brainard, Joanne Kyger, Steve Carey, and John Thorpe. Encouraged after teaching a graduate seminar in art criticism at the California College of Arts and Crafts, Berkson joined the staff of the prestigious San Francisco Art Institute in 1984, organizing public lectures and teaching art history and literature. He was the Institute’s director of letters and science until his retirement in 2008. Throughout his career as a poet and art critic, Bill Berkson emphasized the close relationship between the visual arts and poetry through his numerous collaborations with artists such as Joe Brainard, Philip Guston, Norman Bluhm, Red Grooms George Schneeman and Alex Katz. His most important collaborations, however, were not with artists but with another poet, Frank O’Hara. Berkson accorded the role of mentor to Frank O’Hara. “General cultural education with Frank O’Hara: the Stravinsky-Balanchine Agon (and Edwin Denby’s essay on it), Satie (we created four hand ‘annoyances’ at various apartments. Once played for Henze in Rome), Feldman, Turandot, a certain Prokofiev toccata, Virgil Thomson (I had heard a recording of Four Saints at Harry Smith’s, Providence, 1957). Movies. . .we read Wyatt together, recited Racine, skipped through galleries, collaborated on The Hymns of St. Bridget 1961-1964. . .” as he states in the 1970 biographical note to the New York poets anthology. 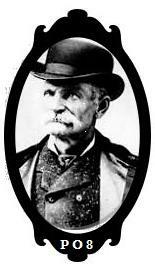 But Berkson also exerted his own unique influence on the older poet. Brad Gooch’s 1993 biography of Frank O’Hara, City Poet, highlights the importance of O’Hara’s friendship with the younger poet in a chapter entitled “Bill’s School of New York” taken from a poem of that title. Berkson’s introduction to Frank O’Hara, the biography indicates, came at a time when, harried by the demands placed on him as a curator for the Museum of Modern Art, O’Hara’s poetic energies were flagging, and that the young, handsome poet was instrumental in reviving the older poet’s interest in poetry. It would not be an exaggeration to say that as a young poet in his twenties, Bill Berkson served as a muse to the older poet evidenced by almost a dozen poems directly mentioning Berkson in the title or dedicated to him, in particular, the tour de force, Biotherm. As well, there were the numerous F.Y.I. poems which functioned as private communications between O’Hara and Berkson, mimicking interoffice memos in which O’Hara appropriated the abbreviation of For Your Information and improvised his own variations such as F.M.I, F.O.I, etc. Their collaborative poem, The Hymns of Saint Bridget, is a testament to the compatibility of their artist sensibilities. It might even be argued that O’Hara’s controversial off the cuff “Lana Turner has collapsed” written on the Staten Island Ferry enroute to his reading with Robert Lowell was dashed off in a fit of virtuosity to dazzle his young protégé. The personally intimate jouissance of O’Hara’s style is on full display in Bill’s School of New York. but others are always terrific, hmmmmmm? his first name is the same as de Kooning’s. easily reassured, say by a pledge unto death. seeing French movies more than once. He is most at home at the Sidney Janis Gallery. In Frank O’Hara’s poetry Berkson found a witty vernacular spontaneity that gleefully transgressed poetic conventions in ways similar to their artist contemporaries who rewrote the book on painting. Collaboration with artists was also a distinctive feature of the New York poets, their affiliation with visual arts paralleling that of the Surrealist’s to painting, experimental cinema, and photography. Berkson’s grounding can be found in the shared congruency of visual art and text, a trend that had its modern beginnings with Baudelaire, and one characteristic of the New York School. In a certain sense, Berkson could be considered the Andre Breton to O’Hara’s Apollinaire, a modern day counterpart to the pontiff of Surrealism, but true to his place on the zodiac, working quietly, behind the scenes, championing an interdisciplinary compatibility that resists the predictable presumptions of English majors. He contributed frequently to Art News and Arts as well as Artforum, Modern Painters, and Aperture among other publications. He was also a corresponding editor for Art in America. His monographs and critical essays on artists such as Guston, Theibaud, Warhol, and Franz Kline are currently collected in two volumes, The Sweet Singer of Modernism & other art writing 1985-2003, with cover painting by Alex Katz (Qua Books, 2004), and Sudden Address selected lectures 1981-2006, with cover drawing by Philip Guston (Cuneiform Press, 2007). For over 50 years and in almost two dozen volumes of poetry, Bill Berkson developed what has been described as “a freewheeling, idiosyncratic style” based on an affection for found phrases and their resident poetic qualities, an acute sense of droll constructions which Kenneth Koch had taught him to appreciate, and that can, at times, be “conversational, epigrammatic, elliptical, whimsical and surreal.” Nonetheless, his poetry has edges, the obdurate discernment of a Virgo, the no-nonsense succinctness of his early influences, fellow Virgos Cendrars and Reverdy, and a clarity of expression that can seem aloof, confident, formidable, even forbidding, originating in an artistic vision that has affected a serious transformation in American poetry. 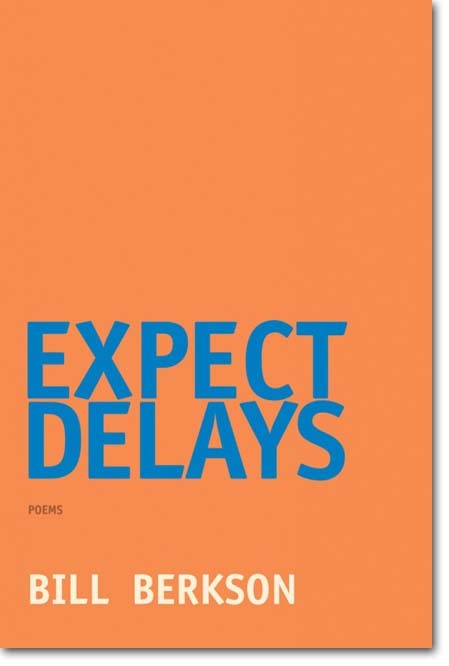 Berkson continued his preoccupation with art and literature, contemporary and historical, from Dante to Bernini, jazz to The Wire, and Rothko to Russian poetry in his 2014 selection of poems from Coffee House Press, Expect Delays. He also hinted at an emerging breakthrough in his approach to writing poetry. In a note to the selection, he speaks of his awareness of how technology changes the way one does business and how his use of the computer shaped his more recent compositions. “Eventually after three or four years, looking over my accumulated desktop notebook materials, I saw that these more or less impulsive jottings had gathered a sort of intrinsic order that needed only minimal nudging from me to fall into place. I went for a format that could hold together the range of things—occasional lines, poem fragments, prose musings, scraps taken from reading, dream records, memory shots; stray uncategorized notions, quiddities, and so on—that happen ordinarily in hand written notebooks, but that occurred here with the more formal edge of being already ‘typeset’.” What Berkson had come across in the use of the word processor and its cut and paste potential is a method familiar to film editors, of taking disparate elements and splicing them into a seemingly narrative whole while remaining open ended. It is a method eerily similar to the way the poet Philip Whalen worked, but long before the advent of the personal computer. Consistently a presence on the avant-garde’s leading edge, Bill Berkson developed and maintained a sophisticated and unique sensibility. He kept an ear to the ground for the latest in the literary arts with an intelligent attention and curiosity that was as untiring as it was focused, constantly on the lookout for innovation and the new. Although Ted Berrigan’s oft quoted, “If Bill Berkson is New York school, the rest of us are reform school” speaks of a social divide, it was Berkson’s distinctive vision of the developments in art and literature among his contemporaries on his home turf that bridged that gap. His contribution to American poetry was to bring together under a loosely defined rubric, the School of New York Poets, a generation of independent writers and artists in tune with contemporary counter culture, from pop music and art to the ever shifting postmodern ground that characterized the global influences of the late century era. In retrospect and given the passage of time, Bill Berkson’s importance as a poet and a definitive authority on modern American arts and literature on the cusp of the millennium will be more fully appreciated. This entry was posted in Poetry, Poetry Society and tagged Abstract Expressionism, Alex Katz, Alice Notley, Allen Ginsberg, Andrei Codrescu, Anne Waldman, Anselm Hollo, Aram Saroyan, Bernadette Mayer, Big Bridge, Big Sky, Bill Berkson, Blaise Cendrars, Bobbie Louise Hawkins, Brad Gooch, California, California Poetry, City Poet, Clark Coolidge, David Meltzer, Eleanor Lambert, Emily Dickinson. T.S. Eliot, Ezra Pound, Frank O'Hara, Gertrude Stein, Humphrey Bogart, James Joyce, James Schuyler, Jim Carroll, Joanne Kyger, Joe Brainard, John Ashbery, John Thorpe, Kenneth Koch, Kevin Opstedal, Lewis Warsh, Maureen Owen, Modern Poetry, New York City, Norman Bluhm, Oliver Stone, outlaw poets, Philip Guston, Philip Whalen, Pierre Reverdy, Poetry, Poetry Blogs, Poetry Lectures, Poetry Lessons, Poetry Society, Poetry Talks, Poets, Red Grooms George Schneeman, Robert Lowell, Ron Padgett, San Francisco, Schools of Poetry, Steve Carey, Surrealists, Syemour Berkson, Ted Berrigan, The New Black Bart Poetry Society, The New York School, Tom Clark, Truman Capote, Wallace Stevens, William Carlos Williams, William S. Burroughs. Bookmark the permalink.